This is an outfit I wore almost two weeks ago and it was a challenge:"How to incorporate a Summery piece into Fall season"-a dress, in my case. This white dress (courtesy to Sugarlips.com) may be a excellent minimalist item for Summer days, I'm absolutely sure about that! What I want to find out right now, is how to incorporate this dress in my F/W wardrobe. There we have a challenge. This dress will be a perfect tunic at this moment, creating a graphic look, by adding more layers. The diagonal black line gave me the idea to add more graphic elements such as: grids patterned pants and polka dot shirt, all in b&w. 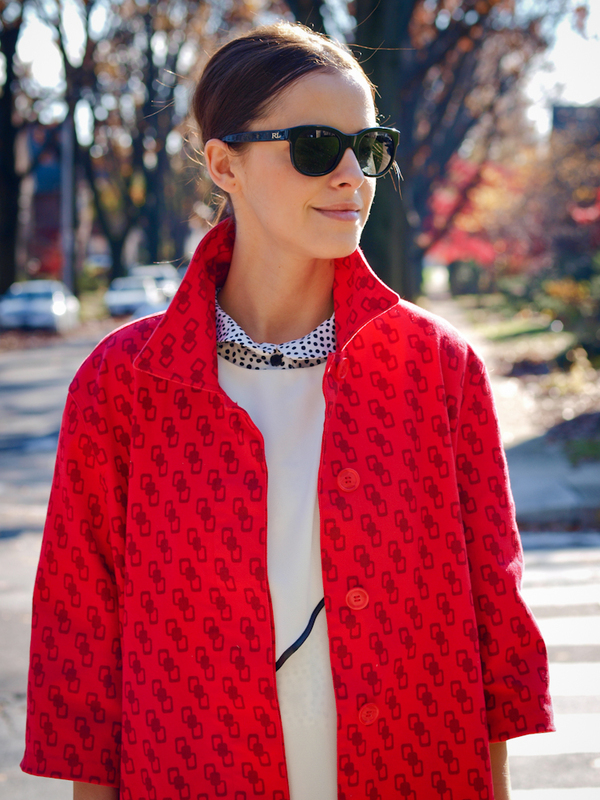 A patterned red coat and the red hells are just a high contrast and a way to showcase the graphic pieces better. Such a chic combination! Gorgeous coat and pants! It’s a great outfit! coat is amazing! I think that’s a great solution, the outfit looks great. I’m in love with those pants! The pants are wonderful and the coat is something I’d love to have. Great outfit. you always do colors and prints perfectly!! gorgeous photos! i love this look. 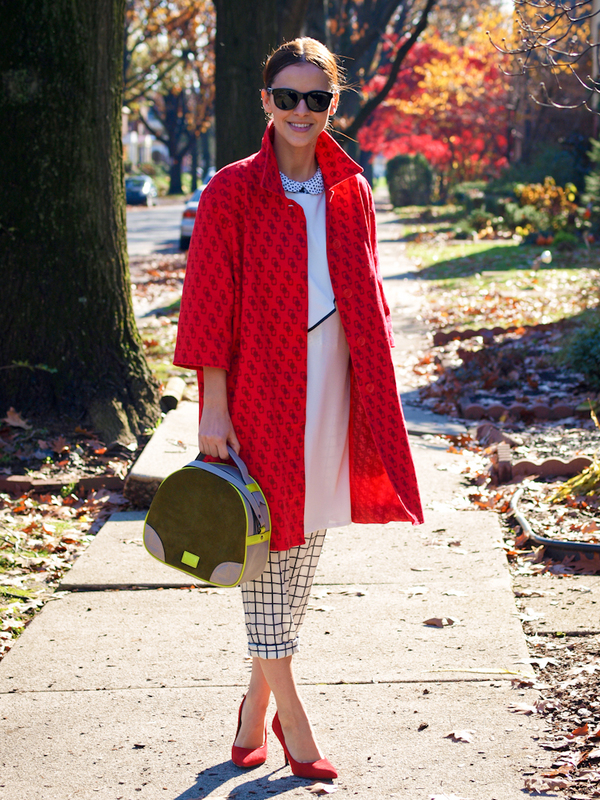 pants, coat, geometric patterns, polkadots.. Great look. Love your pants! Very cute! I love how graphic this whole outfit is… I think my favourite piece is that pair of pants though! 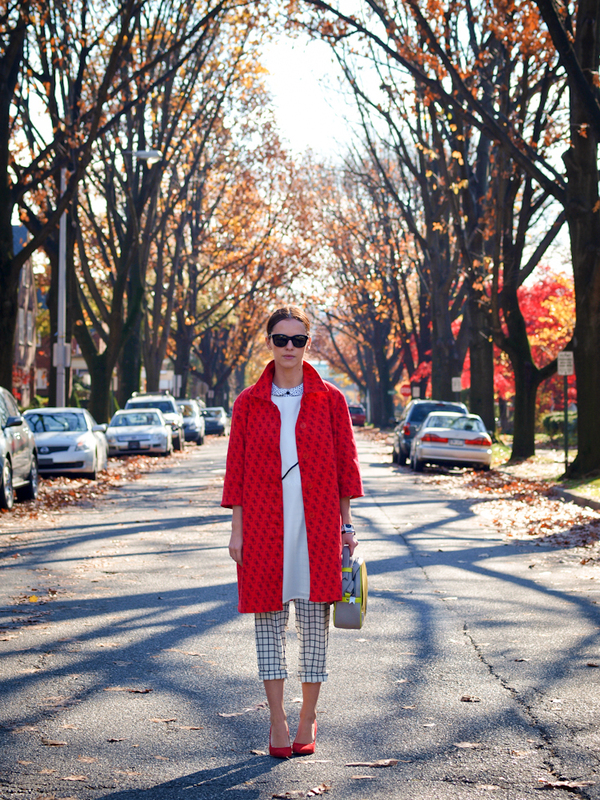 Such a cool mix of geometric prints and I love the shape of your coat! wow! so amazing dear! love your coat!!! 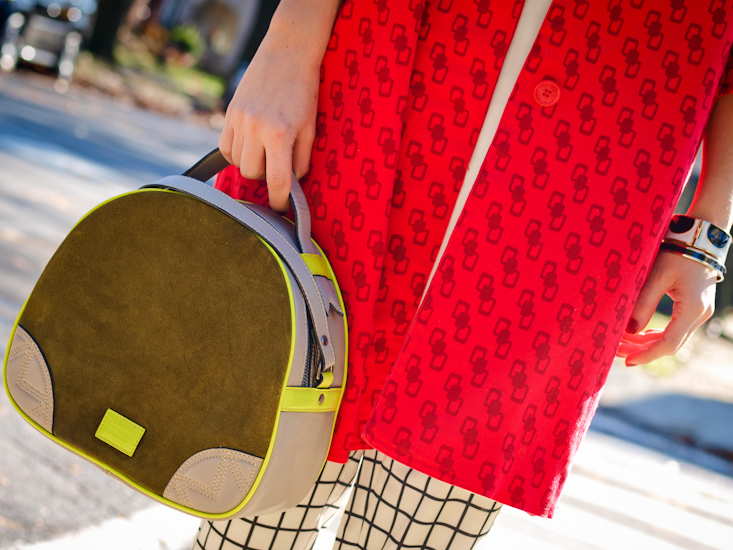 The way you combine colors and prints! LOVE. i love those pants..they are great! ok, I’m speechless now dear, A W E S O M E ! Very interesting combination! Love it! Congrats and great job on the styling! The abundance of prints is pure magic! So inspiring and in the moment! You always have the magnificent ability to transform and redefine trends! Beautiful outfit. Love it ! yeah i like the mix patterns between the coat and the pants. i really like the pants! 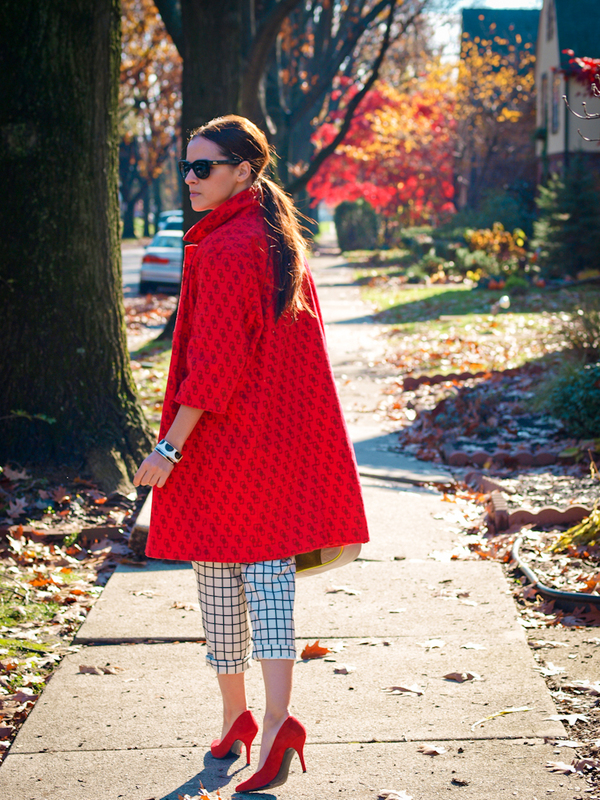 I like checked black and white pants into a combo with the fantastic red coat & shoes. What a beautiful pairing! WOW you are amazing! I fall in love with your blog and your style! !I follow you now! Wow, what a beautiful coat! Really enjoying your style and looking through your previous posts! So glad I found your blog! I hope you are enjoying this holiday season. If you have a chance, I would love for you to stop by and see some of my Christmas style and one of my favorite LBDs. Have a great day! I think you styled the summer dress beautifully and this outfit has the most amazing mix of prints! What a stunning outfit and what a perfect combination!! You look really great! Your coat is my favourit, I think it is such an eyecatcher! ok, so your outfit is perfect!!!! ANd so are you, dear .